DENVER (AP) — Three teenage girls from suburban Denver may have been trying to join Islamic State militants in Syria after stealing their parents’ money and flying to Germany, authorities said Tuesday. They were stopped at the Frankfurt, Germany, airport over the weekend by FBI agents and returned to Colorado where they were reunited with their families, FBI spokeswoman Suzie Payne said. A U.S. official said the girls were headed toward Turkey en route to Syria and that investigators were now reviewing evidence, including the girls’ computers. Another U.S. official called the case “concerning” both to the community and to the country in general. The official said the evidence gathered so far made it clear that the girls were headed to Syria, though the official said investigators were still determining what sort of contacts they had in that country. The official said investigators would be trying to figure out whether there were “like-minded” friends and acquaintances in the girls’ social circle. The Arapahoe County missing person’s report contains details of the girls’ movements. They said they stayed in the Frankfurt airport for an entire day before being detained, questioned and returned to Denver, where they were further questioned by the FBI and sent home. They told authorities they had gone to Germany for “family” but wouldn’t elaborate. Suspicion arose when the sisters’ father realized his daughters were gone, along with $2,000 and their passports. The 16-year-old girl’s father became concerned when he got a call from her high school saying she hadn’t reported to class, according to the police reports. The families reported no prior problems with the girls. Deputies closed the missing person’s case Monday after they learned the girls had been returned. A man who answered the door at the sisters’ home in the Denver suburb of Aurora identified himself as a family member but said he had no comment. The announcement comes one month after 19-year-old Shannon Conley of Arvada, Colorado, pleaded guilty to charges that she conspired to help militants in Syria. The U.S. Attorney’s Office in Denver declined to comment on the latest cases. It’s unclear whether the girls will face charges. Crimes committed by juveniles are treated as acts of “delinquency” in the federal system and are not handled the same way as crimes committed by adults. Authorities have not said how they think the girls became interested in helping the Islamic State militants. In Conley’s case, she told agents she wanted to marry a suitor she met online who said he was a Tunisian man fighting with the Islamic State in Syria. Conley said she wanted to use her American military training with the U.S. Army Explorers to fight a holy war overseas, authorities said. If she could not fight with the extremists, she told agents, she would use her training as a nurse’s aide. Agents, who had been overtly trying to stop Conley, arrested her in April as she boarded a flight she hoped would ultimately get her to Syria. She could face up to five years in federal prison and a $250,000 fine when she is sentenced in January. 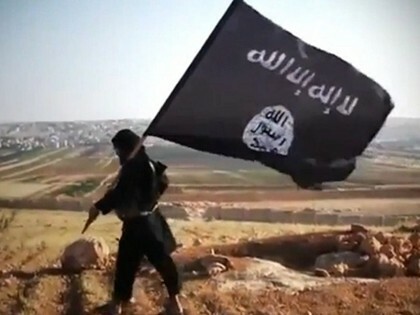 Foreign fighters from dozens of nations are pouring into the Middle East to join the Islamic State group and other terrorist organizations. U.S. officials are putting new energy into trying to understand what radicalizes people far removed from the fight, and into trying to prod countries to do a better job of keeping them from joining up. Associated Press writers Eric Tucker in Washington and P. Solomon Banda in Aurora contributed to this report.